[2016 March] Is Shaken Baby Syndrome Often Misdiagnosed and Caused by Vaccine-Induced Rickets? [pdf] Child Abuse or Rickets? A Special Interview with Dr. David Ayoub By Dr. Joseph Mercola https://youtu.be/dKN_ygDi-sI One of the classic diseases that aluminum is linked to is rickets. It’s also plausible that aluminum is anticoagulant. In other words, it can induce bleeding conditions. What comes to mind is fractures and bleeding (what do you think of) in infants – shaken baby syndrome (SBS). 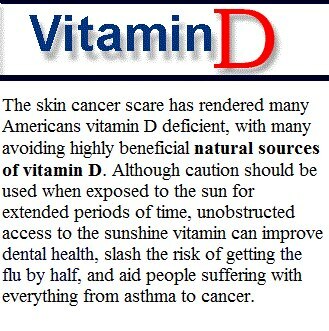 [2012 Oct] 7 Awesome Natural Sources of Vitamin D.
[2012 June] Government Gets it Wrong Again: U.S. Recommendation for Vitamin D and Calcium Supplementation is Too Low by William B. Grant, Ph.D.
[2012 March Letter] Medical statistics which just don't add up... Heart disease in all countries is closely related to power station coal consumption. In Britain, both rise to a maximum in 1974 and fall steeply after 1978. Three-quarters of the fall occurred before statins were introduced. France and Japan have low rates of heart disease and no coal consumption. Mediterranean countries have a high saturated fat diet — animal fat — but a low heart disease rate. In the U.S., coal use and heart disease fall in line with each other. China has rising coal consumption and a rising incidence of heart disease. Why is this? Because sulphur dioxide from coal is injected by power stations into the stratosphere. It absorbs the 295nm band of UV, thereby reducing Vitamin D production in the skin. Low Vitamin D is closely associated with the risk of heart disease. 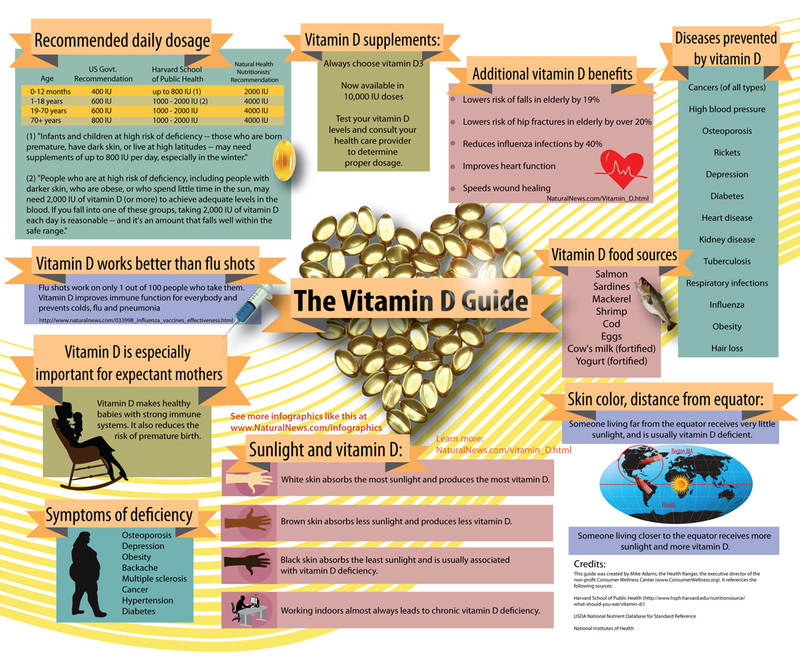 Institute of Medicine Has Announced the Next Vit D Food and Nutrition Board. Guess Who is Left Out? What’s really remarkable is that vitamin D deficiency is epidemic throughout the entire United States, through all age groups. And I’ll give you some examples. It’s well known that elders throughout the United States are at high risk. And upwards of 40-60% are at risk for vitamin D deficiency. But we also now realize that even younger adults that are otherwise active and who may be always wearing sunscreen before they go outdoors, or they never see the light of day because they’re working all the time. When we did a study in Boston, we found that students and doctors 18-29 years of age, at the end of the winter, 32% were vitamin D deficient. More shocking, though, was that we also looked at young girls (working with Dr Sullivan and Dr Rosen in Maine) -- and these are Caucasian girls ages 9-11 - and we found that 48% were vitamin D deficient at the end of the winter. And 17% remained vitamin D deficient at the end of the summer because of wearing all the sun protection. So we did a study at our hospital, and we looked at women coming in and giving birth, and we measured their vitamin D levels -- their 25-hydroxy vitamin D levels, and the infants’ 25-hydroxy vitamin D levels at birth. 49 infant-mother pairs were looked at, mostly African-American and Hispanic but some Caucasian as well. 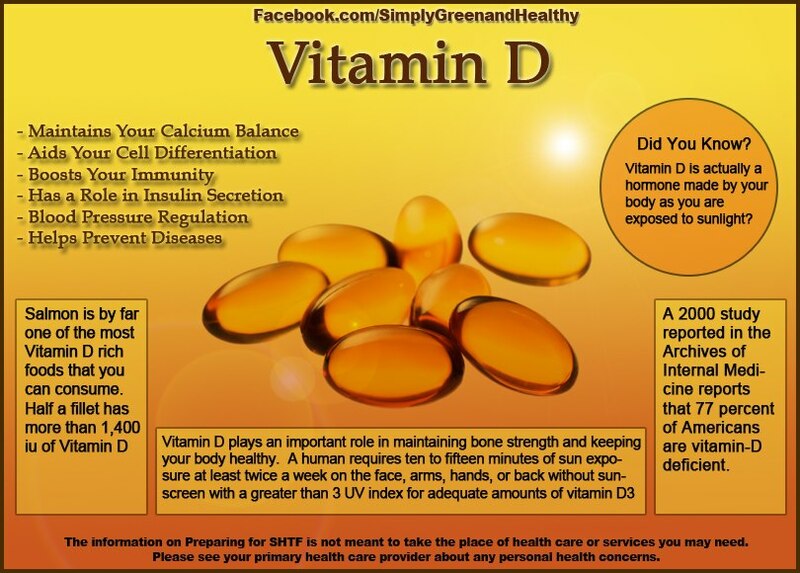 76% of mothers were severely vitamin D deficient. 81% of infants were severely vitamin D deficient. ..............There was a study done in Minnesota by Dr Plotnikoff and what he showed was that, he looked at over 150 individuals. And we’re talking about children ages 10+ and adults up to the age of 65, presenting at a Minnesota hospital in the wintertime, complaining of muscle aches and pains and bone pain. Many of these, especially young women in their 20s, were given Motrin or some type of over the counter drug, or even a prescription strength anti-inflammatory drug (NSAIDs) because the doctors couldn’t figure out what was going on. 93% of that entire group of children and adults complaining of bone pain or muscle pain were vitamin D deficient. [Letter BMJ 2006] Can influenza vaccine overcome vitamin D deficiency? If flu shots are effective - and if more older Americans have been getting them - why have more older Americans been dying of the flu?.....Perhaps the elderly, virtually all of whom are vitamin D deficient, would be better off getting an injection of vitamin D in the fall, rather than a flu shot? [The Vitamin D Newsletter December, 2007] Does vitamin D prevent cancer? Both Canadians and Americans are shocked to think their doctors care about money, are in the illness business. In some ways people think of their doctors like they do their local public schools. They know medicine is a business and know doctors do things for money but they don't think their own doctors do. The fact is that doctors, hospitals, regional cancer centers, and the cancer drug manufacturers are all in business to make money and all of these businesses make money off the sick, not off the well. Just a fact, but, as Aldous Huxley once observed, "Facts do not cease to exist because they are ignored." Vitamin D will save the Canadian government enormous amounts of money but will cause widespread economic disruption in the USA. Do the physicians leading the American Cancer Society have strong economic ties to the cancer industry in the form of patents, stock options, and consulting fees? If so, what do you expect them to do? What would you do? It's simple. You would believe what you have to believe, what you need to believe, that is, anything with the word "vitamin" in it is simply the latest Laetrile. Look to Canada, not the USA, to lead the way. Dr. Lichtenfeld, implied the Canadian Cancer Society has acted precipitously in recommending that all Canadians take 1,000 IU of vitamin D daily. He implied that Americans should placidly wait until more randomized controlled trials, such as Lappe JM, et al (above), accumulate before they address their vitamin D deficiency. That is, nothing should be done until more randomized controlled trials prove vitamin D prevents cancer, one randomized controlled trial is not enough; epidemiological studies are not enough, animal studies are not enough, multiple anti-cancer mechanisms of action are not enough? If that is his position, I challenge him to point to one human randomized controlled trial that proves smoking is dangerous? If he cannot, then he must admit that the American Cancer Society's position on smoking is entirely derived from epidemiological studies, animal studies, and a demonstrable mechanism of action, not on human randomized controlled trials? Vitamin D not only has hundreds of epidemiological studies, thousand of animal studies, and at least four anti-cancer mechanisms of action, vitamin D deficiency has something smoking does not have, it has a high quality randomized controlled trial. If future randomized controlled trials fail to show vitamin D prevents cancer - and Dr. Lichtenfeld better hope they do - he can have the satisfaction of saying "I told you so." If future randomized controlled trials confirm vitamin D prevents cancer, then he needs to look at his hands, the red he sees is the blood of needless cancer deaths. 6. People with dark skin pigmentation may need 20 - 30 times as much exposure to sunlight as fairskinned people to generate the same amount of vitamin D. That’s why prostate cancer is epidemic among black men -- it’s a simple, but widespread, sunlight deficiency. 9. Even weak sunscreens (SPF=8) block your body’s ability to generate vitamin D by 95%. 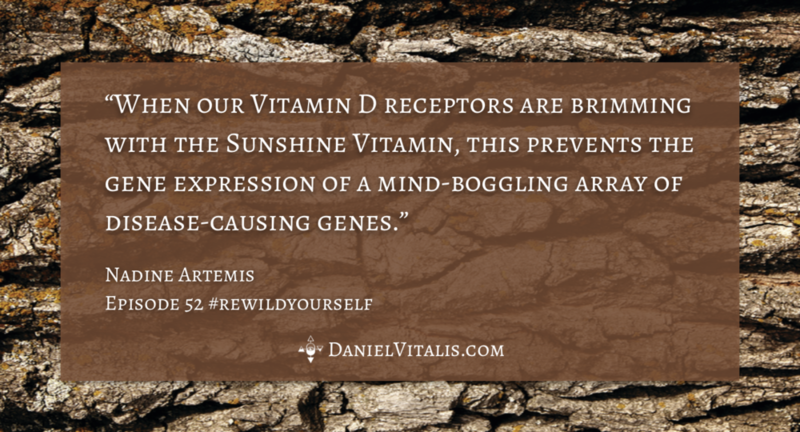 This is how sunscreen products actually cause disease -- by creating a critical vitamin deficiency in the body. Get vitamin D not the flu shot. Dr. John Cannell, a cardiac surgeon and Professor of Surgery at the University of Washington, recommends avoiding the flu shot and taking vitamin D instead.